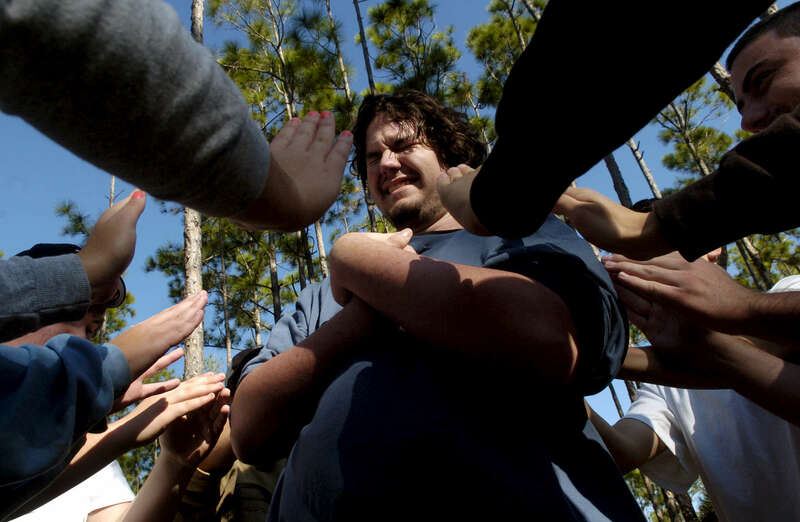 Joel Sherrer, 17, of Venture Crew 39 in Arcadia, Florida, apprehensively falls backwards into the hands of other scouts during a Challenging Outdoor Personal Experience (C.O.P.E.) course. About 30 teen scouts took part in the team and trust building course.